Mezze is a flexible, sociable way of eating at a leisurely pace with diners sharing a wonderful array of small dishes. 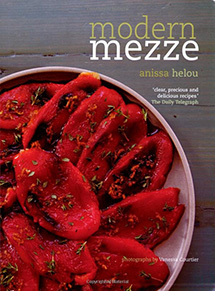 It has become increasingly popular in the West and Anissa brings this brilliant, relaxed and healthy style of food to the home cook, offering a tempting collection of 100 recipes from Lebanon, Turkey, Greece, Morocco and Iran. There are recipes for delicious dips and fragrant herby salads, crisp pastries, tasty pulse and grain dishes, colourful vegetables, fish and shellfish bites, plus tempting mezze meat.